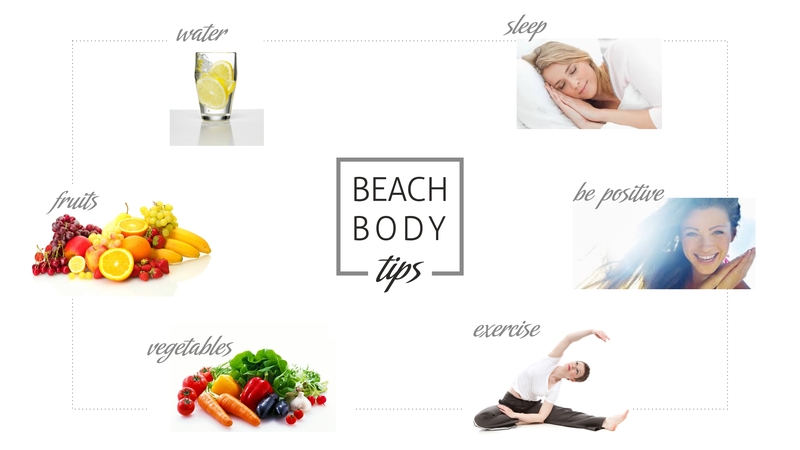 Summer is almost here...So, get active now...Try different workout exercises to find out which one suits you more. There are so many options out there. Set realistic goals and at the same time be consistent. You can exercise even at work, while sitting in front of your computer desk. Go for a walk with friends, take the stairs and avoid the elevator. 30-40 minutes exercise per day is more than enough. At the same time, eat healthy on a daily basis. Add some fish, vegetables and fruits to your daily menu and say NO to junk food and to sugar consumption. Do not skip meals and of course eat a healthy breakfast. Would you like a sweet? Try a frozen yogurt, it is definitely worth it. You may also try a low fat calories ice cream. Drink a lot of water. 8 glasses per day is ideal. As an extra tip add some lemon to your water. It will help flesh out your toxics, especially if you drink it first thing in the morning. Also consume fresh juices and smoothies, they contain lots of vitamins. Have you done all these? If yes, you are ready for the beach... Ooohhh, but wait a moment. Have you found the perfect swimsuit? Sunderwater is here, waiting for you. NOW you are ready to hit the beach.